Never Enough Nails: Warning- There's a Snake in this Post!!! Totally off the topic of nail polish-- I don't have any nail posts today because I bought my boyfriend his birthday present yesterday!!! 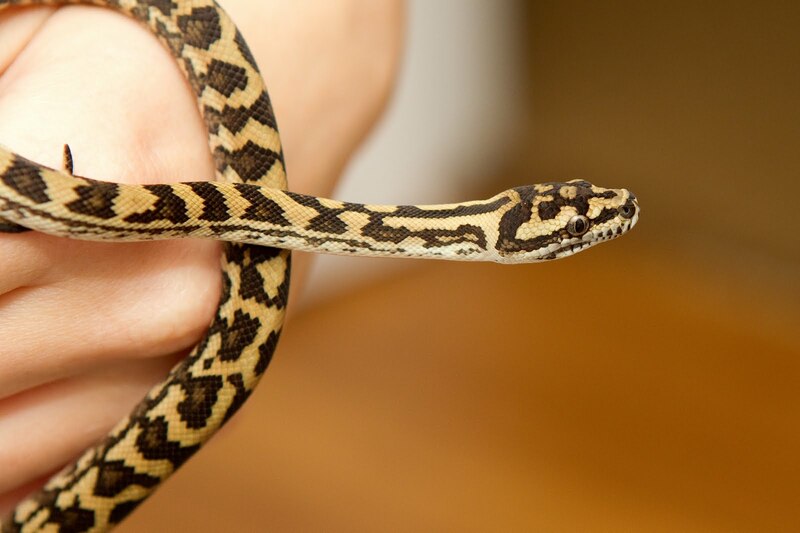 A baby Jungle Carpet Python named Bumblebee!! She/he is named Bumblebee because her colors will change to a brighter yellow as she gets older. (We don't know if Bumblebee is male or female, the sexing process is a little beyond our snake skills right now). 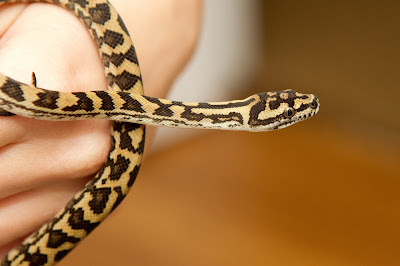 We both already own one corn snake each, so we have some experience. That's Essie Mini Shorts on my nails in the first picture by the way! 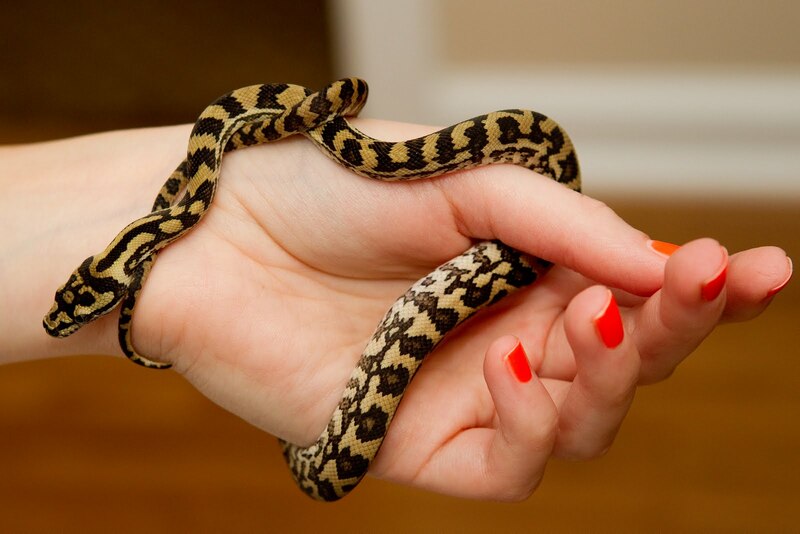 See, I worked nail polish into a post about snakes LOL! Wanted to share Bumblebee while she's so cute and tiny! She is so tiny!! What does a tiny snake like that eat? Crickets? It's so small! :D How long will it be when it matures? Thanks Kimberly! She actually can eat small pinky mice, which are basically baby mice. We'll be feeding her frozen mice only, of course! Erin- Jungle Carpet Pythons are usually somewhere around 6 feet long as adults. She's so tiny now, it's hard to imagine!